There is something quite nerve racking about choosing your winter coat. I think it comes from school days when coat shopping with Mum meant choosing some oversized practical coat that I would ‘grow into’ (I never did) much to the ridicule of the cooler girls in class. Coats are an investment, and one at which the cost per wear means you can afford to get away with splashing out. Leave it too late and all the good ones will be sold out, but rush into it and you’ll be stuck with your choice until next September when the hunt starts all over again! 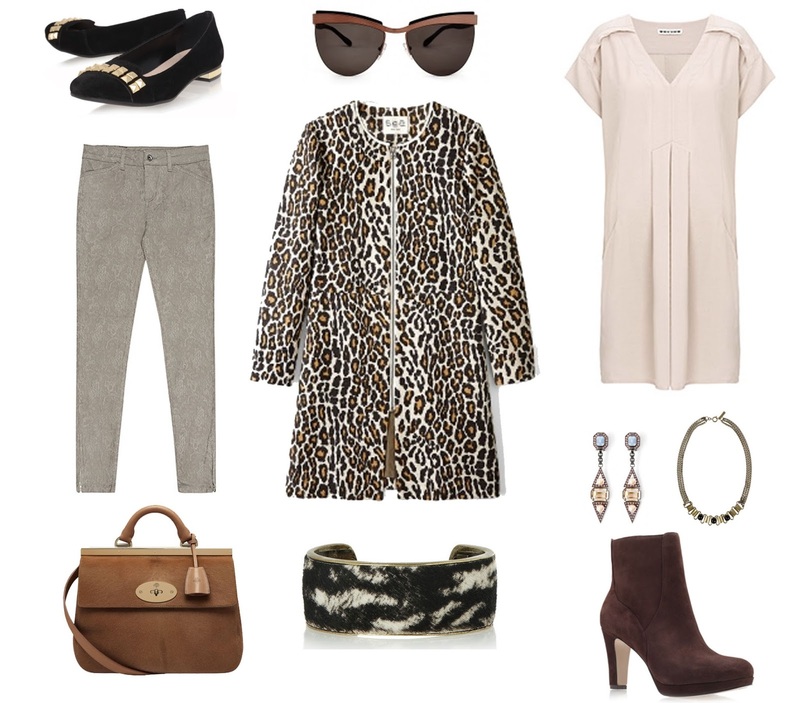 Everyone needs a classic black jacket in their wardrobe and the Chianti from Reiss is my ultimate favourite this season. With a belt around the waist it doesn’t hide your figure and the wool blend means it is super warm. A streamlined leather tote for is crucial for your essentials, and the Loewe Amazona is clean and structured for a timeless look. Add a hint of retro glamour with these playful sunglasses from Miu Miu and finish off with these Russell & Bromley boots with the perfect heel height for wearing all day and night. The loose fit on this twill and shearling coat mean it is perfect for layering over your favourite comfy knits; this knit sweater from Isabel Marant is at the top of my list. Add some more texture with the Reiss Carrie Leather leggings and on a dry day, the Miu Miu pumps add a dainty touch to the look. To keep feet dry on those showery days, the Zara boots make for dry stomping, and finish with touches of rose gold jewellery such as the Siren ring from my personal favourite, Monica Vinader and Anita Ko ear cuff. I’m loving all the earthy feel to Brooke Gregson’s jewellery, the London based jewellery designer is inspired by astrology; combining diamond constellations with textured gold. LOVE. Embrace the classic cool girl style with Sea NY’s leopard print coat – an instant update to any outfit. Match with a chic dress such as this super flattering Whistles number. For a casual day time look, reach for Reiss’ Kelly jeans in the so-now taupe colour and slip on these Carvela flats to add extra bling to your outfit. I’m loving the Isabel Marant jewellery – cuffs are BIG this season and this monochrome one will glam up any look. 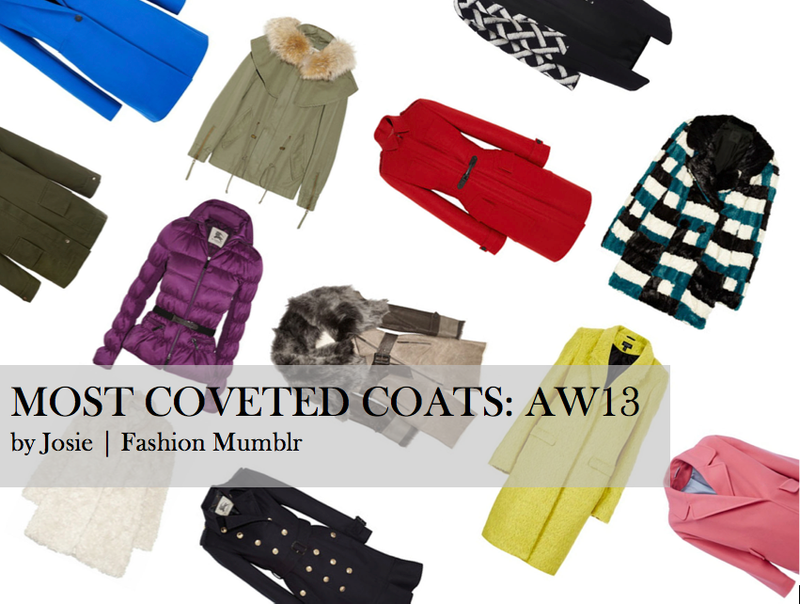 What coat have you invested in this winter? Let me know your go – to store for AW13 essentials.